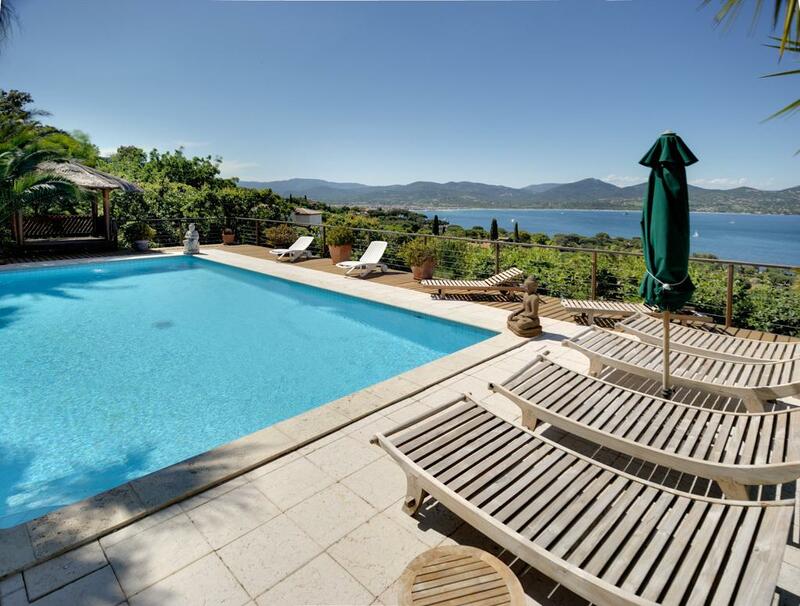 Situated on an exclusive, large, private estate on the coast at Plage de la Moutte, this traditional Provencal Mas enjoys good seaviews, and is only 3 kms away from St-Tropez village. 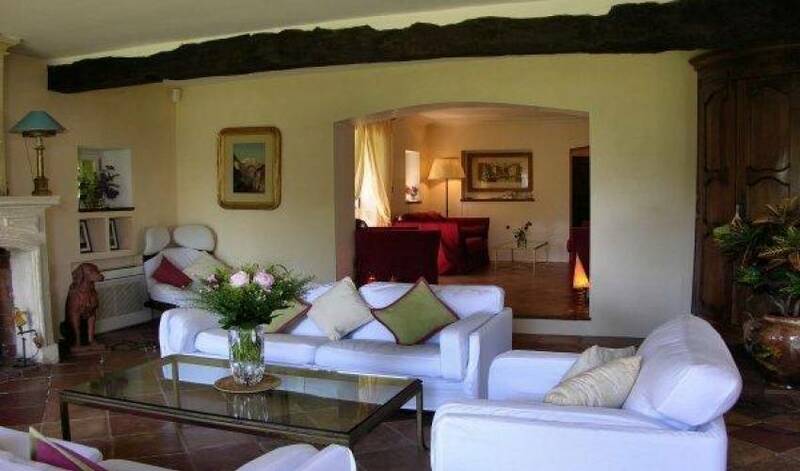 The interiors have been recently renovated throughout to create luxuriously comfortable rooms. 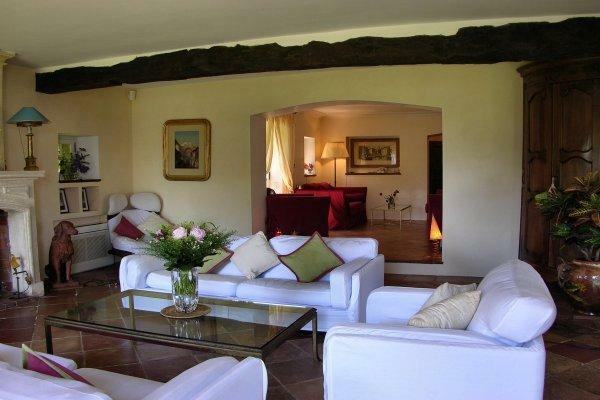 Tasteful cream furnishings and antique furniture off-set the traditional beamed ceilings and original terracotta tiled floors. 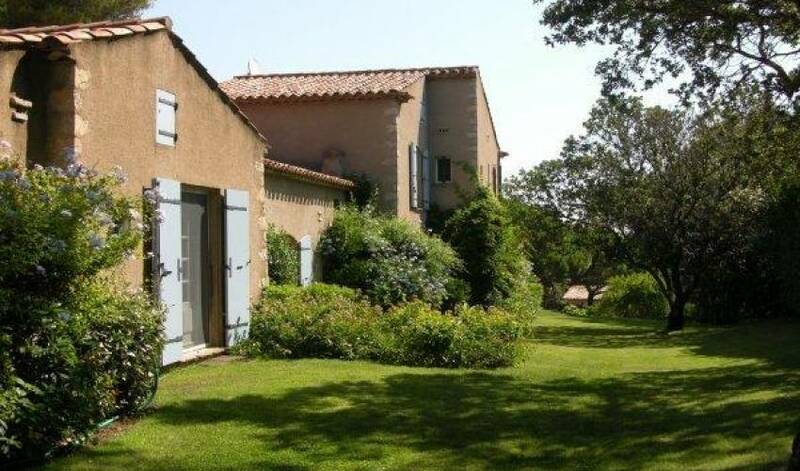 All the bedrooms have safes, and air-conditioning , and the first floor bedrooms have mosquito nets around the beds. 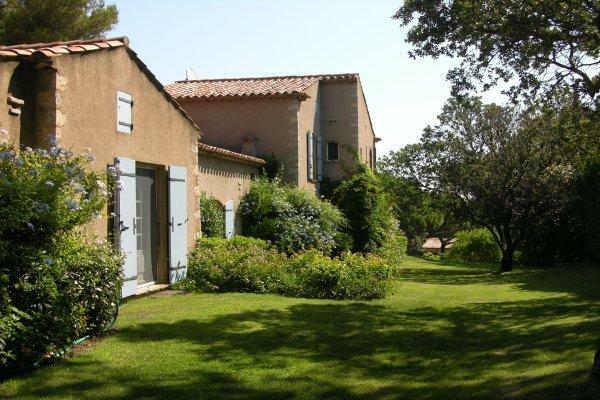 The house is surrounded by a lawned garden with vines, flowers and trees, including orange, lemon, cherry, almond and grape vines. 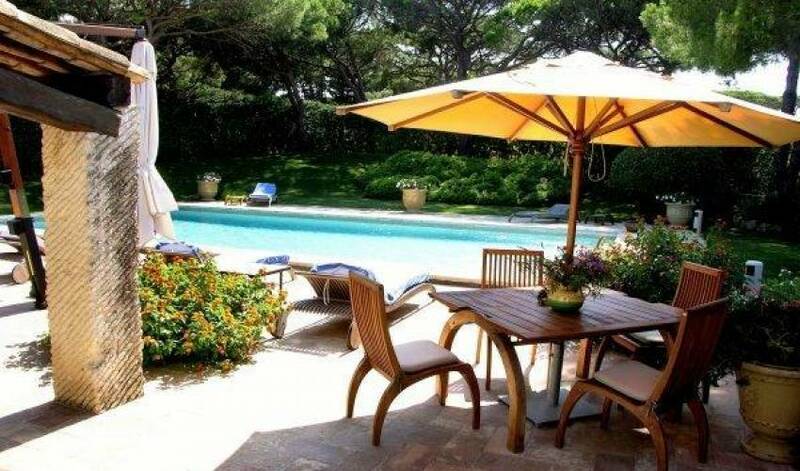 The swimming pool is on one side of the house, facing the front terrace and the outdoor dining area. 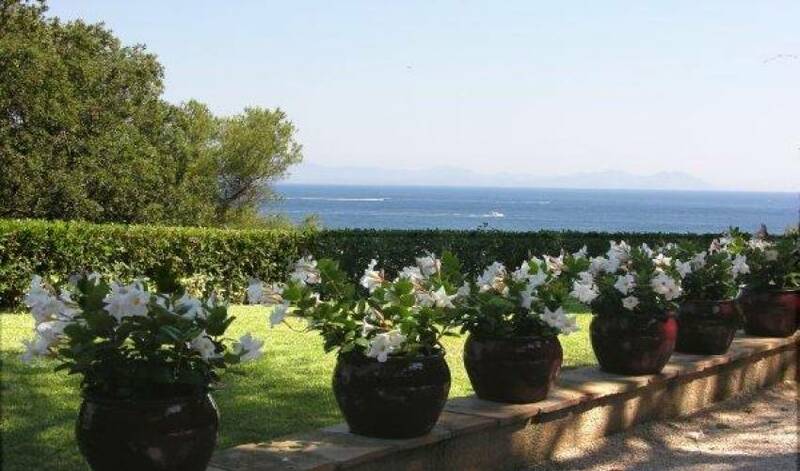 On the other side, the garden slopes down to a boules court and a footpath leading down to the residents' beach. 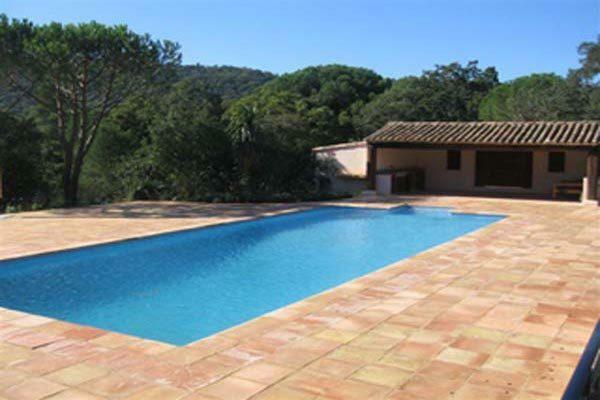 Double bedroom with en-suite shower room. 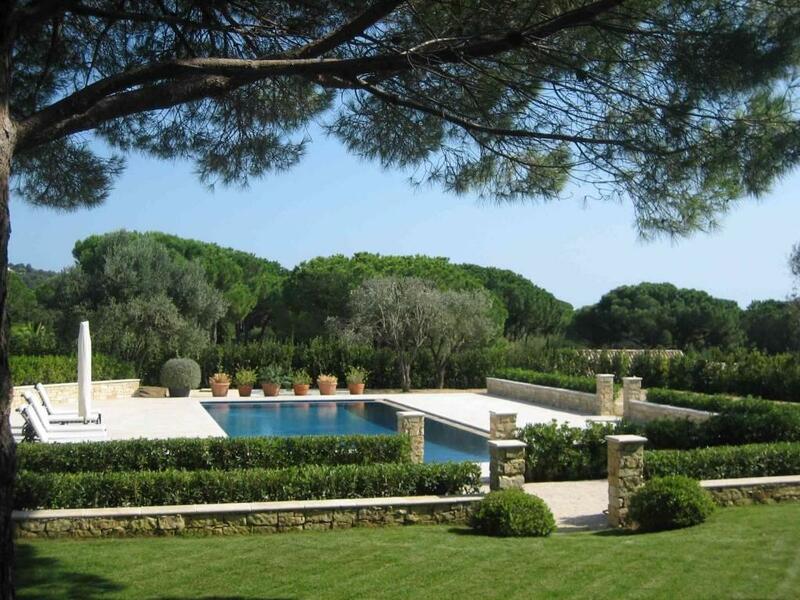 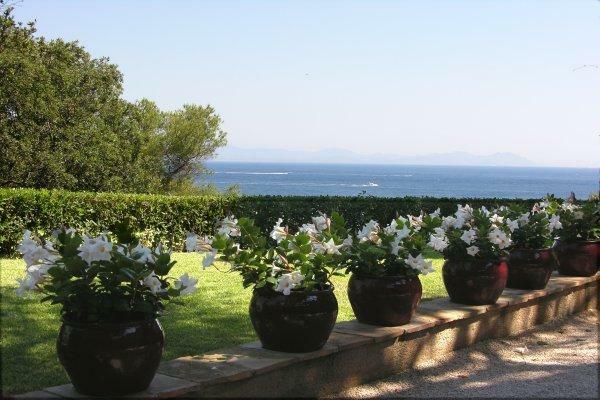 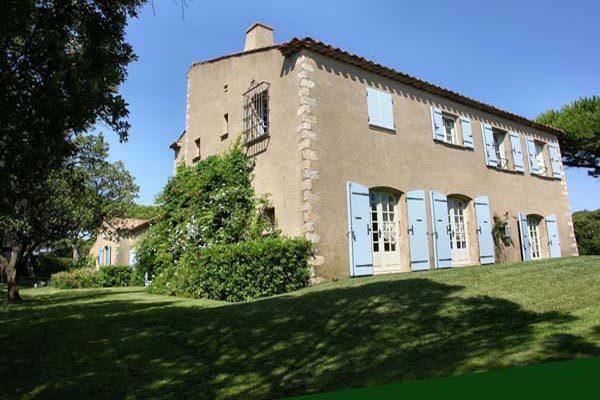 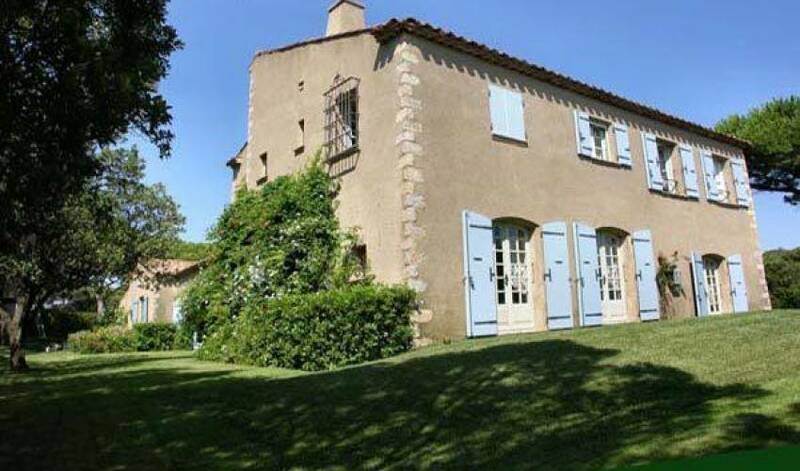 Nearest town - St Tropez 7 min. 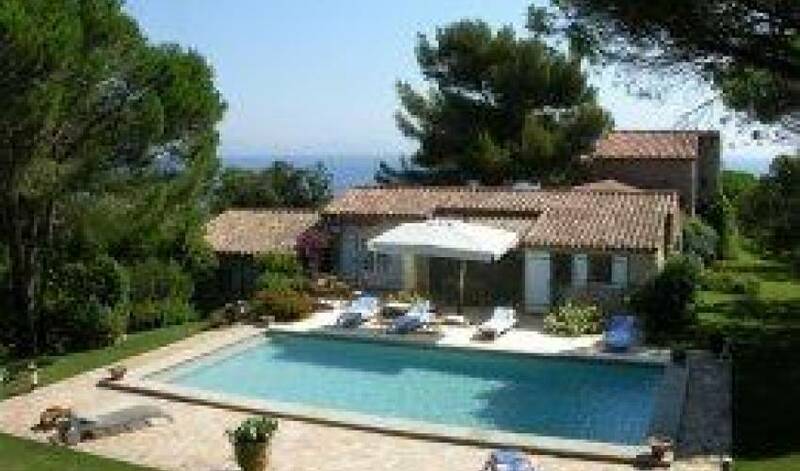 Nearest beach - St Tropez 1 min. 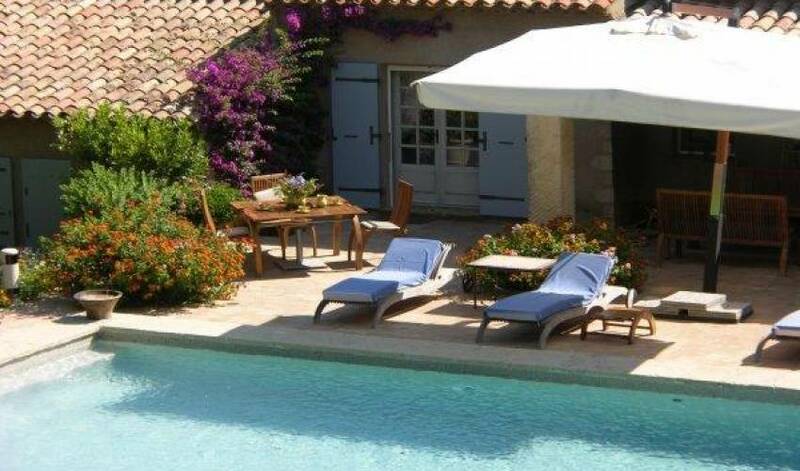 Nearest airports - Nice 90 min & Toulon/Hyeres 60 min.